It's time to be driven dotty, but in a good way! Welcome to our collection of hand-made dot-to-dot puzzles, containing over 15,000 dots for you to connect!. If you're a fan of the recent craze;adult colouring, you are sure to love this fantastic new relaxing and calming trend. 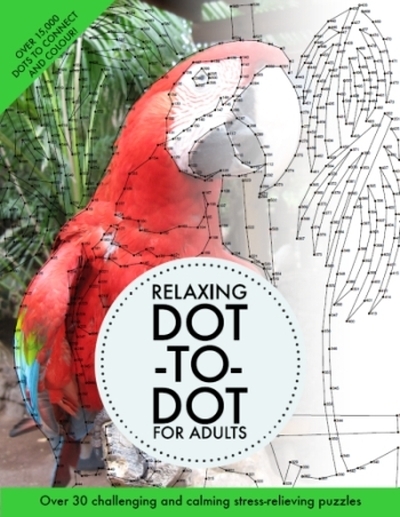 We have compiled over 30 challenging yet incredibly therapeutic dot to dot puzzles for you to enjoy and wind-down with after those long and stressful days. Grab yourself a quiet moment and with just a pencil and some basic counting, you will be transported to a whole new world of dotting heaven! The rules are simple: starting at number 1, draw a line to dot 2, then 3 and so on. In addition, these extra-challenging puzzles also contain some hollow dots. When you reach a hollow/white dot, this indicates that the current line stops. You should then look for the next dot which will also be hollow and draw a new line starting there. Full instructions and an example of this are featured inside the book. Once you've reached the end dot, you've finished the puzzle! All puzzles have a minimum of 400 dots, right up to over 1,000. However, even with that many dots on a page, we've worked hard to ensure we are consistent with the position of every single dot in this book from start to finish: the dot is always positioned to the left of each number. This removes any ambiguity that can occur from having dots in different places relative to their numbers in the same puzzle, so by checking the position of a dot relative to a number it is always possible to work out which dot goes with each number throughout the book. All puzzles featured in this book are lovingly hand-drawn with care and consideration. We are very confident that you will never find a mistake in numbering or order accuracy, meaning you can always be able to solve a puzzle from start to finish with just patience and a pencil! Illustrations include a varied mix of animals, stunning landscapes, florals and intricate objects. Some of our favourites include an old vintage car, zoo scenes, a ship and beautiful scenes from the countryside. Most puzzles will lend themselves well to being coloured in once solved, so if you like colouring too, then feel free to bring the finished puzzles to life! 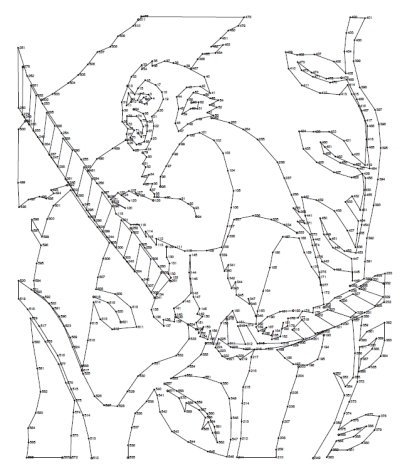 There is blank page behind every image so you don't need to worry about colour bleeding through to the next puzzle. That's all there is to it! Delve in to this collection of relaxing and satisfying puzzles and take a trip back to those carefree moments as a child. Creating beautiful artwork along the way, we are sure that you will enjoy completing all 31 puzzles and being driven dotty for dots!